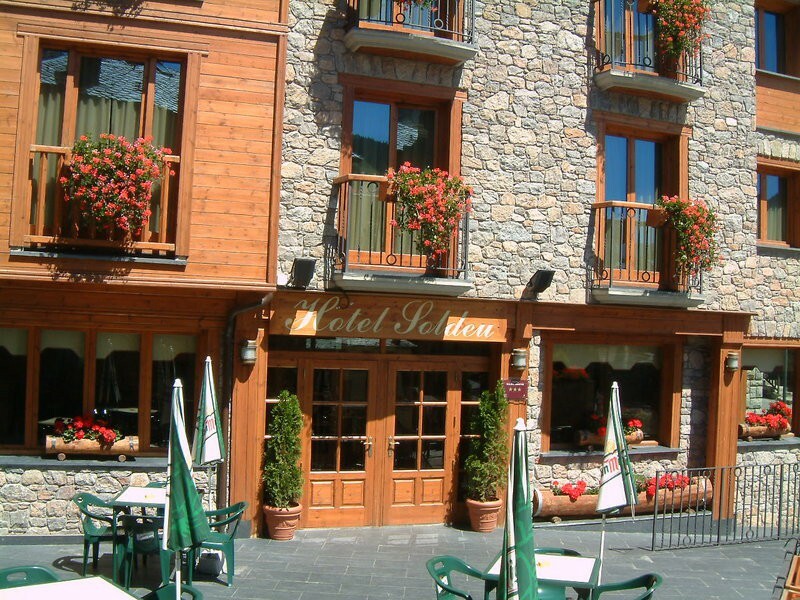 The Hotel Soldeu Maistre is centrally located in Soldeu, Andorra. This charming stone chalet hotel is just 150 m from the gondola to the slopes, 2 km from the famous Grau Roig Pas de la Casa ski-runs, and within walking distance of all the resort facilities such as shops, restaurants, bars and a vibrant nightlife. An inviting atmosphere combines with excellent service and 99 guestrooms equipped with modern conveniences and set over 3 floors to make a ideal base from which to enjoy all this area has to offer. For an unforgettable bargain ski holiday in the Andorra winter wonderland of Soldeu, the charming Hotel Soldeu Maistre is a great value choice. Carcassone-Salvaza Airport is 89 km from the Hotel. Local Tips: The Principality of Andorra is nestled between France and Spain in the Pyrenees and is an excellent value for money destination.